Dan is the founder of the Abrams Media Network, which includes Mediaite.com, The Law&Crime Network and LawandCrime.com, TheMarySue.com, AmboTV.com and created and sold Sportsgrid.com. He is also a best-selling author, the Chief Legal Affairs Anchor for ABC News, the host of the hit show LivePD on A&E Network, and host of SiriusXM radio show ​The Dan Abrams Show: Where Politics Meets The Law. Previously, Dan served as the General Manager of MSNBC where he defined the network as “The Place for Politics”. During his tenure, the network saw its most significant ratings and profit gains to date. He also hosted “The Abrams Report”, a nightly legal affairs program, and the acclaimed “Verdict with Dan Abrams”. 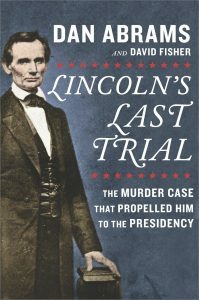 Additionally, and most recently, he was the co-anchor of “Nightline” on ABC News.​ His latest book, Theodore Roosevelt for the Defense: The Courtroom Battle to Save His Legacy, will be released in May, 2019.